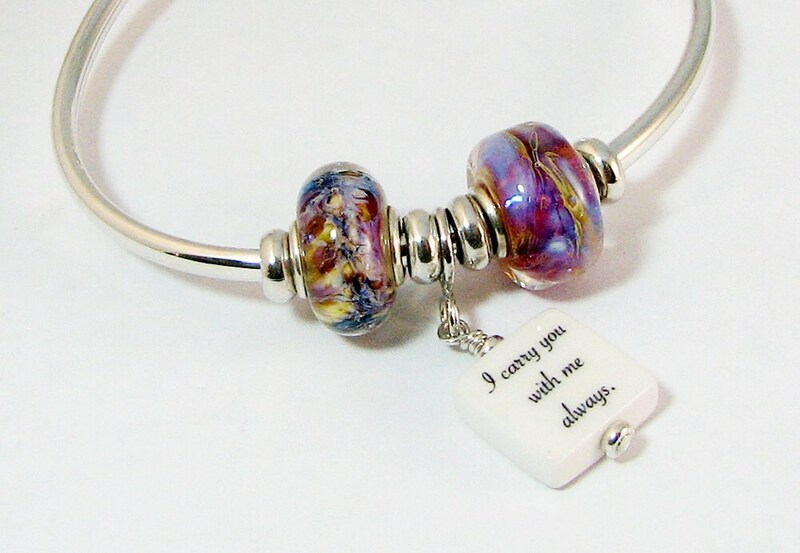 I love the pink and purple colors in these glass Lampwork beads. 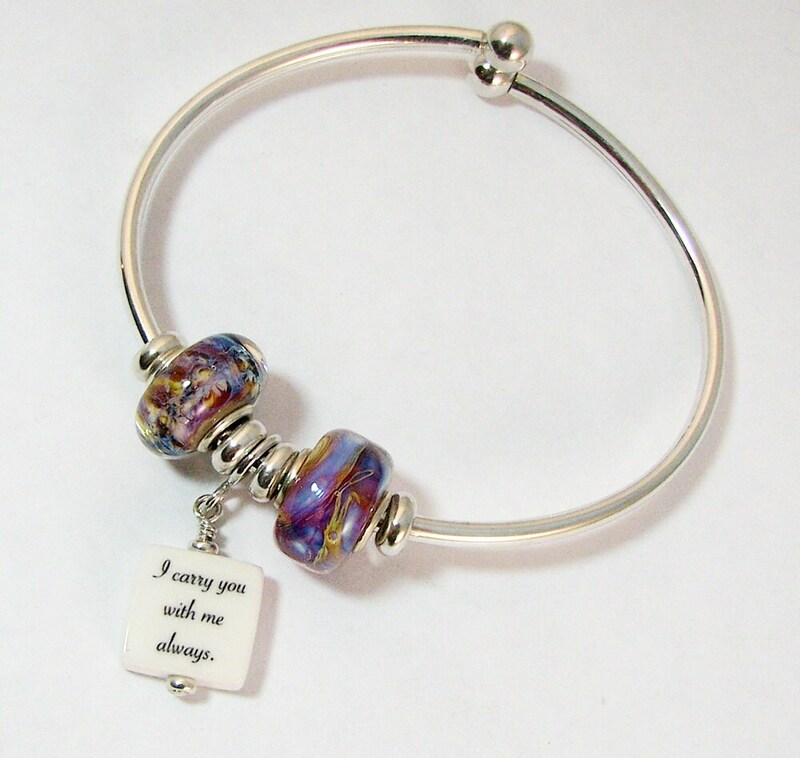 They are FULLY lined in sterling silver in the Pandora style, and fit perfectly on this sterling, flexible and very comfortable 7" bracelet. They can be moved apart to give the charm 'wiggle room', but they don't move freely. 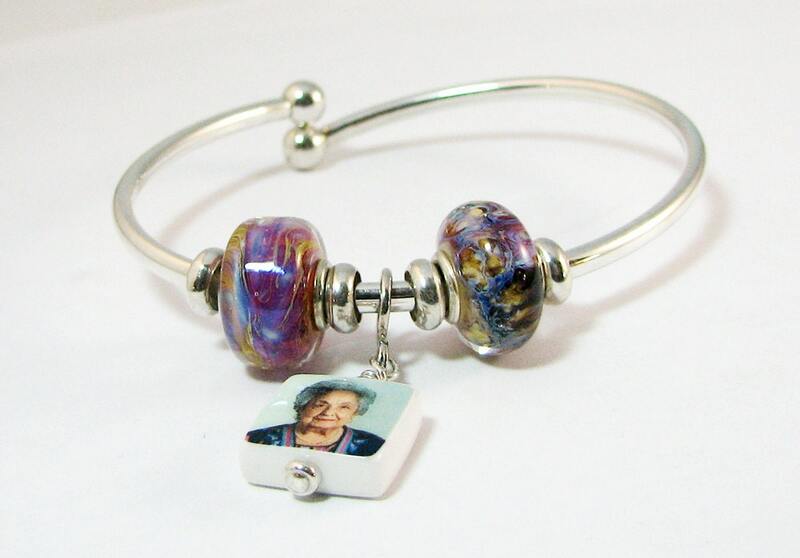 This bracelet comes with a two-sided, Mini Photo Charm that measures .5" X .5". 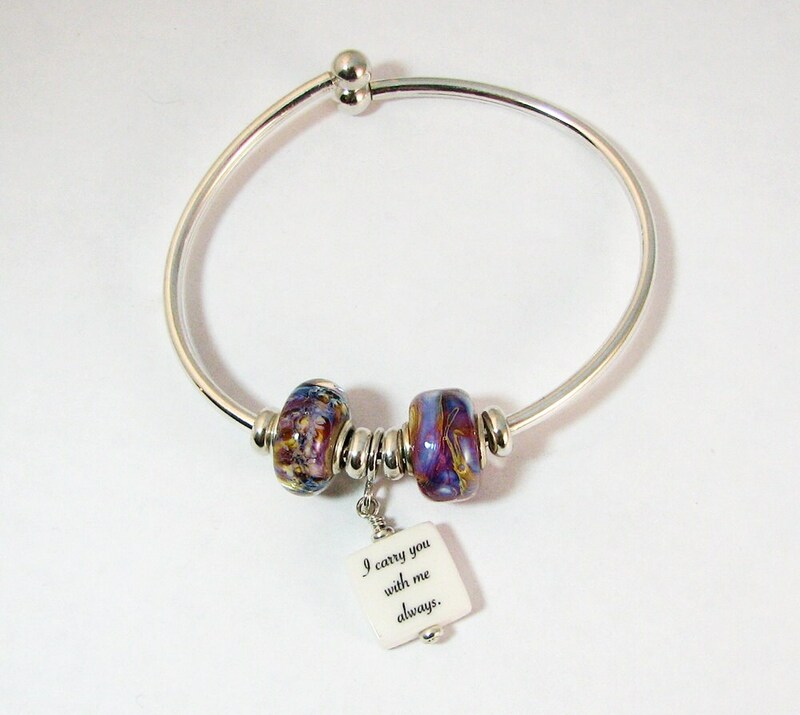 It has one ball end that twists off so you may add more charms whenever you like. 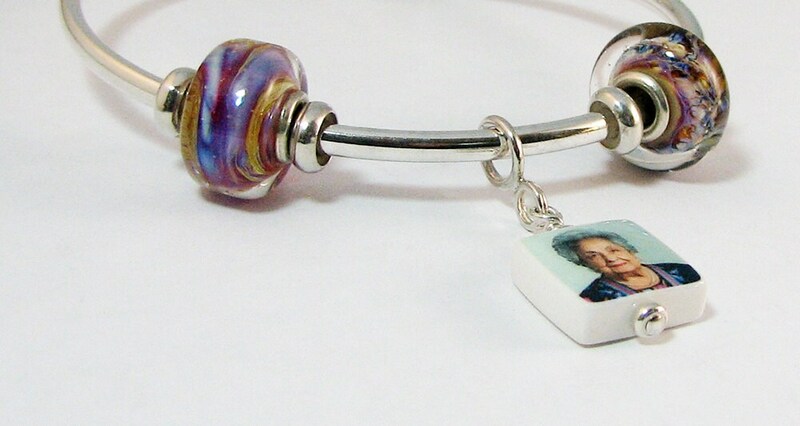 Send me your preferred colors and I will send you images of available Lampwork beads. Your order will ship USPS Priority Mail in 3 to 4 weeks from the day you approve your image crops (longer during peak wedding & holiday seasons). Please let me know if you are working with a deadline and need your order faster; Rush Orders and Express Mail are both options.